Below we give you the top four real estate exhibitions to take place in 2018. 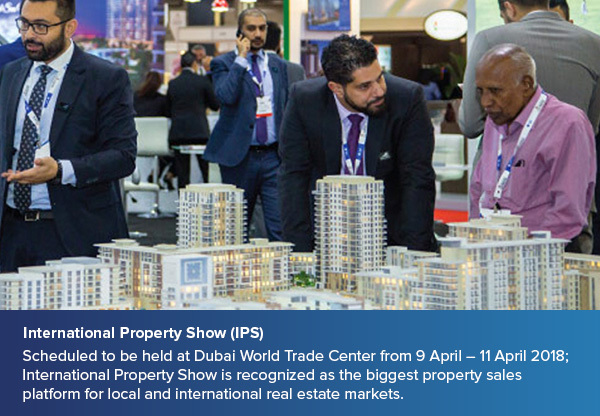 Scheduled to be held at Dubai World Trade Center from 9 April – 11 April 2018; International Property Show is recognized as the biggest property sales platform for local and international real estate markets. During this 3-day event exclusive deals to end users and real estate investors will be offered. It is worth noting that IPS is the only event in the region that allows retail sale and purchases for both local and international properties. Ever since its launch in 2001 and IPS has grown rapidly and secured the support of major local and regional real estate companies. IPS has recently announced its strategic partnership with MAG Property Development (MAG PD) for the 14th edition of the event. Building on 2017 edition huge success which recorded 19,129 attendees, 177 exhibitors, 1226 properties sold and 1.2 billion dollars revenues; IPS 14th edition visitors will find an entirely revamped format that includes the ‘Mega Property Sale’ for the first time. 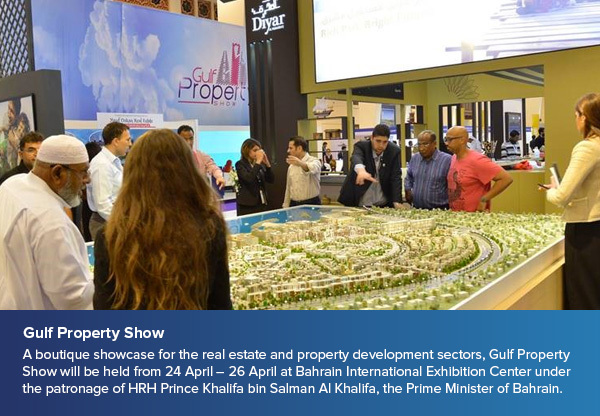 A boutique showcase for the real estate and property development sectors, Gulf Property Show will be held from 24 April – 26 April at Bahrain International Exhibition Center under the patronage of HRH Prince Khalifa bin Salman Al Khalifa, the Prime Minister of Bahrain. Bahrain is known for its strategic location in the region as a commercial gateway especially for neighbouring countries such as Saudi Arabia, all of which makes Gulf Property Show the perfect destination for investors, developers and property professionals aspiring to explore the market and make profits out of it. Gulf Property Show is the ideal event to show the global and regional real estate investors how Bahrain’s real estate market is growing year after year and how investing in the property market in Bahrain and the GCC is investor’s safest option. 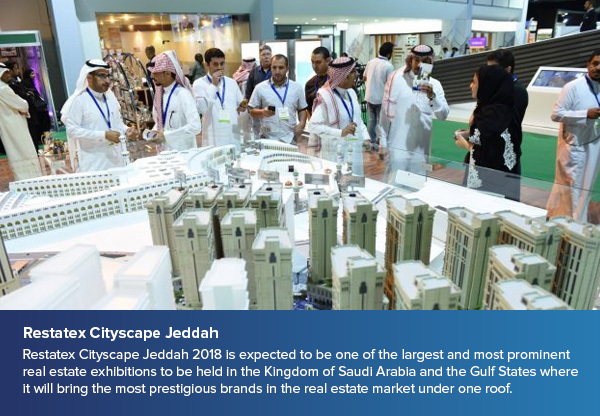 Restatex Cityscape Jeddah 2018 is expected to be one of the largest and most prominent real estate exhibitions to be held in the Kingdom of Saudi Arabia and the Gulf States where it will bring the most prestigious brands in the real estate market under one roof. Investors, developers, government officials, financial institutions and real estate professionals from the Kingdom and the wider Gulf region are all expected to attend this huge event. Real estate developers patiently wait for this event as it is the ideal platform to showcase their projects in the Kingdom which offer products that meet the requirements of the modern Saudi families and exceed its expectations. 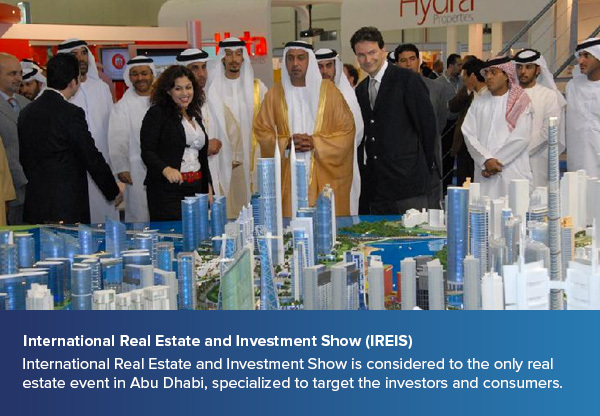 International Real Estate and Investment Show is considered to the only real estate event in Abu Dhabi, specialized to target the investors and consumers. The exhibition will be held from 1 November – 3 November 2018 and it will see Industry leaders and relevant government officials who take to the stage and discuss industry topics such as latest trends, upcoming opportunities, new laws, investment strategies and much more. During this 3-day event, attendees will get the chance to take a look at a wide spectrum of properties available, different investment options, financing sources, consultations and sorting out legal queries, all under one roof. IREIS is the perfect platform where investors will have face to face meetings with selected investment opportunities in what is known as “International Investors Meet Zone”.